First up: some delicious Lavender Shortbread from food blogger Food Mamma: her cookies were that gorgeous pale beige colour that denotes a perfectly-baked shortbread cookie. 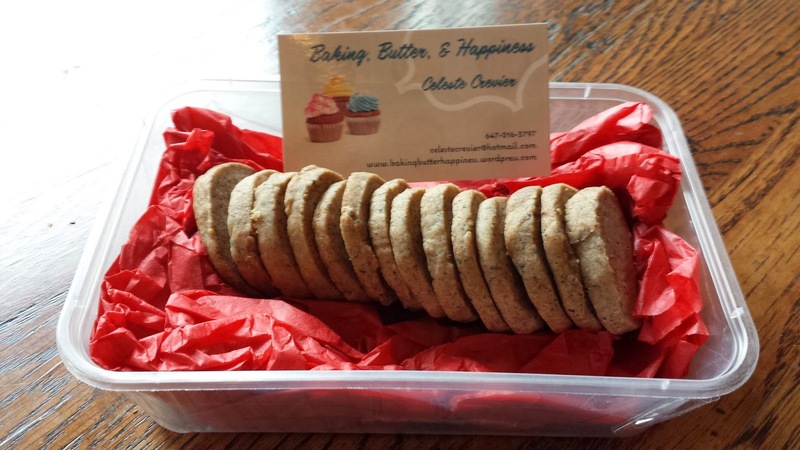 The packaging itself was adorably hilarious; these cookies were so small, they fit into a business card box(! ), which was then covered in brown paper and shipped off. In fact, the package was so tiny, if it weren’t for the “2013 Food Blogger” stamp on the address label, I wouldn’t have been sure if they were cookies! I’m happy to report that they arrived in near-perfect condition, as you can see from the picture! Second up: some of the most delicious Chai Shortbread Rounds I’ve ever eaten in my life, from food and lifestyle blogger Baking, Butter, and Happiness. The tea was actually *in* the shortbread itself, but ground so finely that there was little discernable grittiness, and definitely no overt tannin bitterness that comes from a strong black tea. Last, but by no means least, were a vibrant and rich Triple Ginger Cookie from food blogger Noms For The Poor (what a GREAT name!) These soft and chewy cookies packed quite a punch, with their triple-threat ingredients of crystallized ginger, ground ginger, and grated fresh ginger! They came packed in a little metal cookie tin, and were in perfect condition when they arrived at my door. 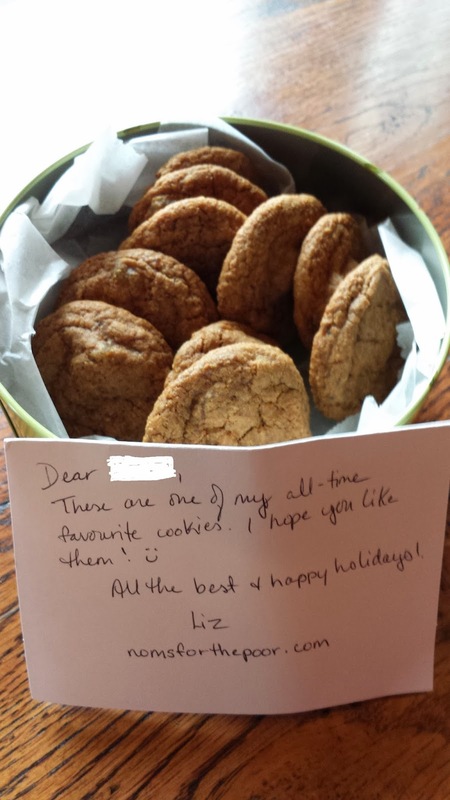 Good thing too, as they were G-O-N-E within a very few hours at my office, and so many colleagues came up to me to tell me how awesome tasting they were! I’ll practically guarantee you can scare away ANY sore throat after eating one of these cookies. All in all, I was so pleased with my haul at this year’s Food Blogger Cookie Swap; I’ll be sure to participate next year, too….is it too early to start researching the Next Great Cookie Recipe now? Many thanks to all who participated this year, and Cheers from The Birdhouse! 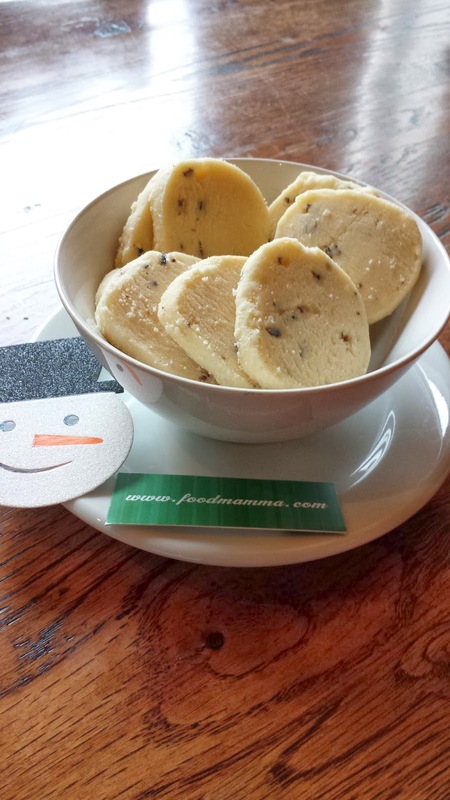 Previous Post The 2013 Great Food Blogger Cookie Swap! Next Post New Baking Ingredients! Happy dayz for me!